If you’re a low-income resident of Sarasota County, 50 years of age or older and in need of dental or medical services, the Pat Buster Health Clinic, located on the campus of the Venice Friendship Centers, can help. Depending on your ability to pay, some of our services may be available at a very low cost, or no cost at all. We work with many different health plans, including Medicare and Medicaid, and can also help find medications at a reasonable cost. Medical services include general physical exams and specialty consultations, in addition to referrals for lab work and advanced diagnostic testing. 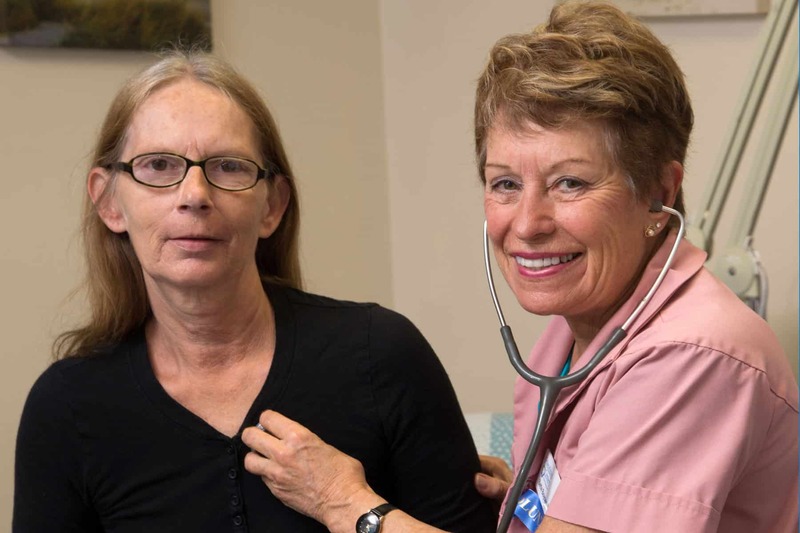 We treat chronic illnesses, such as diabetes, high blood pressure, arthritis and chronic obstructive pulmonary disease (COPD), as well as women’s health issues. We do not treat chronic pain or provide chronic pain management services. Our educational programs encompass breast and cervical cancer screening, healthy living with diabetes, and prescription assistance. Free health screenings are also offered by our corporate partners through our Activity Centers. Our Venice Dental Clinic is staffed by experienced professionals who have dedicated their lives to healthy teeth and gums. Many of our clients have neglected their dental care because of financial circumstances but at the Friendship Centers they can find the help they need, provided they don’t have dental insurance and are not above the 300% Federal Poverty Guidelines. We provide general dentistry, prophylactics, limited oral surgery, dentures and partials. Our Venice clinics are staffed by volunteer physicians, nurses, dentists, dental hygienists and health professionals who enjoy practicing for the sheer love of medicine. We are part of a System of Care Collaboration, a partnership with the Florida Department of Health in Sarasota County and the Community Medical Clinic (CMC) at Sarasota Memorial Hospital. The Friendship Centers is proud to serve as a training site for students (medical, nursing and allied health) from several local universities and colleges. Students working towards a career in health care are welcomed and benefit from the wisdom of medical experts who, in turn, enjoy the opportunity to mentor students. This list is for informational purposes only; please make an appointment with our Eligibility Coordinator to determine what information will be required of you. Hours are Wednesday, Thursday and 2nd & 4th Fridays 8:00 a.m. – 11:30 a.m. and 1:00 p.m. – 3:00 p.m. Appointments are available, for questions about eligibility call 941.584.0041. You may download applicable forms below, complete them and bring them with you when you visit the Eligibility Coordinator. Usted puede descargar los formularios que aplican a su situación usando los enlaces, completarlas y traerlas cuando visite al Coordinador de Elegibilidad.